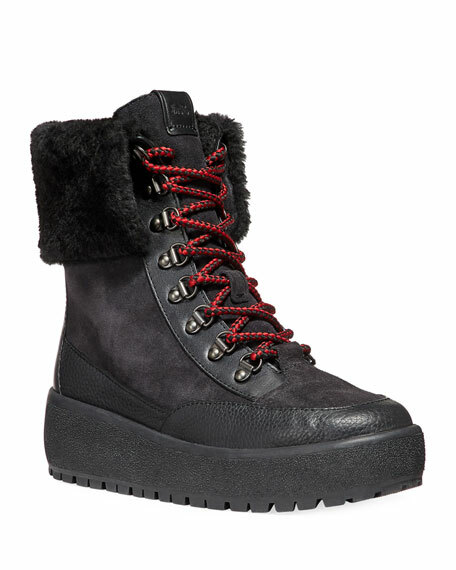 Coach suede and leather boots with dyed sheep shearling (Italy) collar. 1.5" wedge heel with platform. For in-store inquiries, use sku #2726205.